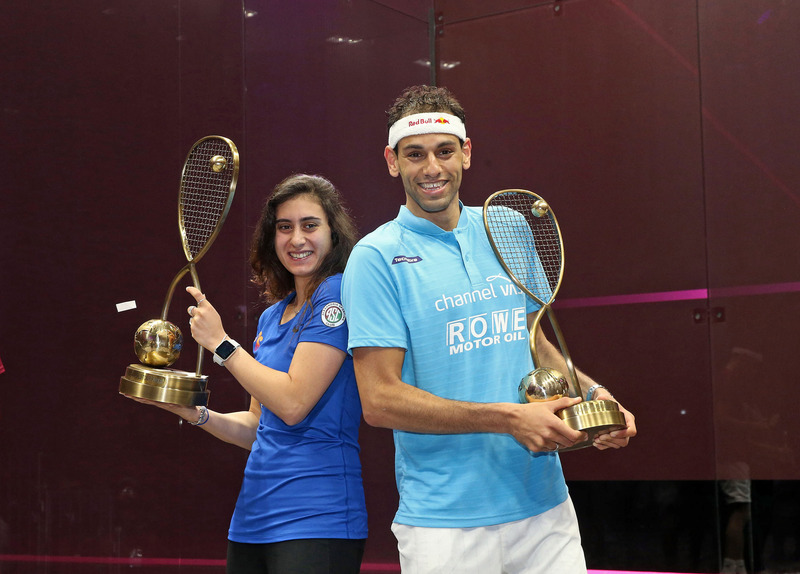 The star-studded PSA World Tour Finals will be held in Egypt for the first time after an agreement was reached between the Professional Squash Association (PSA) and title sponsors CIB to bring the world’s leading squash players to the Wadi Degla Club in Cairo between June 8-13 for the 2018-19 edition of the season-ending tournament. Featuring the world’s top eight male and female players, the CIB PSA World Tour Finals will act as the season finale to the 2018-19 PSA World Tour campaign. The event has been successfully staged in Dubai over the past three seasons at venues such as the Burj Khalifa, Dubai Opera and Emirates Golf Club. 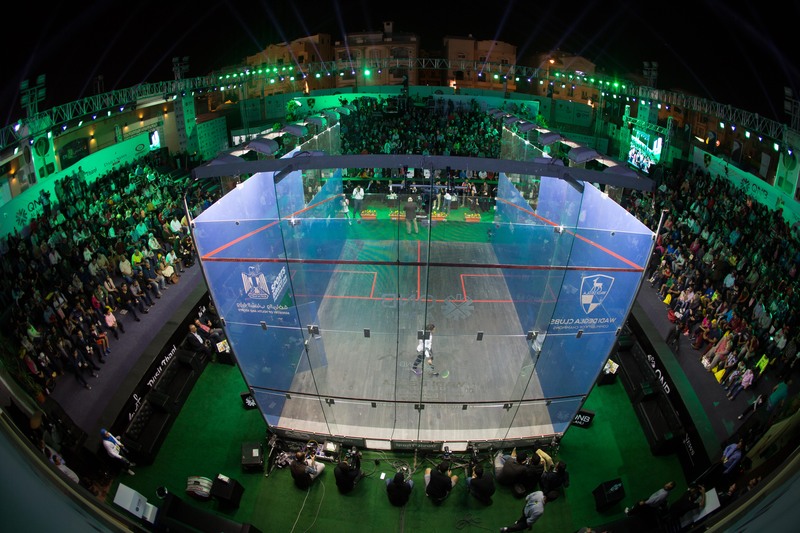 The six-day event will bring together the greatest squash talents on the PSA World Tour, with a total prize purse of $320,000 split equally between the men’s and women’s events thanks to the generosity of sponsors CIB, ATCO, and also the Wadi Degla Club. Players will be split into two groups of four and will play round-robin best-of-three matches in the group stages, with the top two from each group progressing to the knockout semi-finals and beyond. To qualify for the CIB PSA World Tour Finals, players must finish in the top eight of the PSA World Tour Finals Leaderboard, with points on offer at all PSA World Tour events during the 2018-19 season. Karim Abdel Gawad is the other player to have already earned his place in Cairo after triumphing in December’s Black Ball Open. The other players in the top eight of the men’s leaderboard are Egypt’s Tarek Momen, Germany’s Simon Rösner, New Zealand’s Paul Coll, Peru’s Diego Elias and Egypt’s Mohamed Abouelghar. India’s Saurav Ghosal and Colombia’s Miguel Rodriguez also remain in contention for a place in the top eight, with just four men’s PSA World Tour events left this season. Egypt’s Nour El Tayeb, France’s Camille Serme, England’s Sarah-Jane Perry, Wales’ Tesni Evans and Egypt’s Nouran Gohar make up the rest of the top eight. English duo Alison Waters and Laura Massaro, and Unites States No.1 Amanda Sobhy sit just outside the top eight and face a race against time to earn a qualifying berth with three women’s PSA World Tour events left. Two more Platinum tournaments remain this season, with the El Gouna International and Allam British Open still to come in April and May. The men’s XII Torneo Internacional PSA Sporta, Bronze tournament, which is held in Guatemala between May 29 and June 2, will be the last ranking PSA World Tour event of the season.